Read and Listen Surah Mulk which is 67th Surah of the Quran. 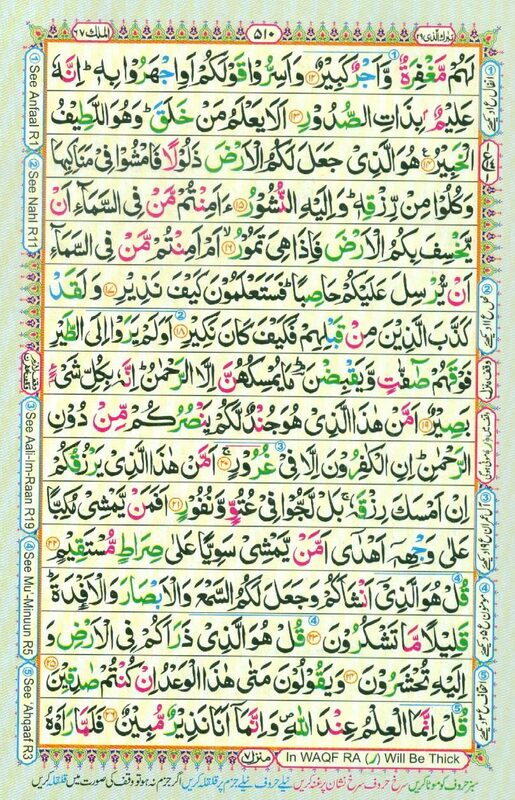 Surah Mulk ( Surah Al-Mulk ) has 30 verses (Ayat). Surah Mulk ( Surah Al-Mulk ) is a Makkia Surah, a Surah that was revealed to Prophet Muhammad in Makka. As mentioned in Hadith , Surah Mulk ( Surah Al-Mulk ) will intercede for its reciter on the Day of Judgement until its reciter is forgiven by Allah (SWT). We should also memorize Surah Mulk ( Surah Al Mulk ) so that we can recite it on daily basis. Since Surah Mulk ( Surah Al Mulk ) has only 30 verses ,we can memorize entire Surah in one month by memorizing just one verse per day. This is not a big task but there are countless benefits. By sharing this page to your friends and family members by Facebook, WhatsApp, etc.. so that they can be benefited by it which will also give you rewards in the both Worlds. One this basis Islamic scholars say that there is the hope that whoever believes in this surah and reads it regularly for the pleasure of Allah, and also gets the lessons within it and acts accordingly with the rulings contained therein, Surah Mulk will intercede for him [in the Hereafter]. When a person recite Surah Mulk before sleeping, an angel comes to protect him because he can’t protect himself in the sleep. It’s also important to learn Surah Mulk with meanings so that we can understand message of the Holy Quran and spend our lives accordingly. There will be only good deeds will help us there. As a Muslim we must recite the Holy Quran and especially Surah Mulk regularly with meanings to understand it.